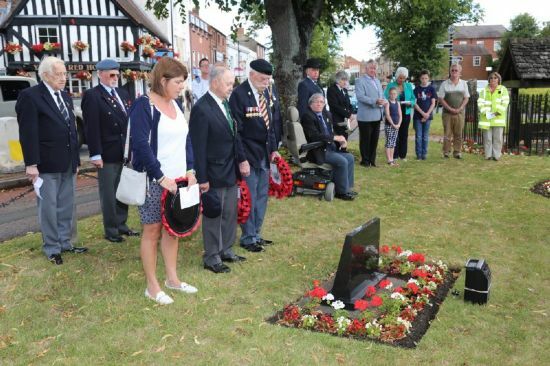 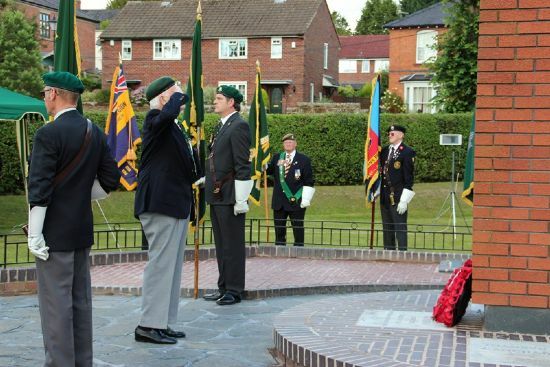 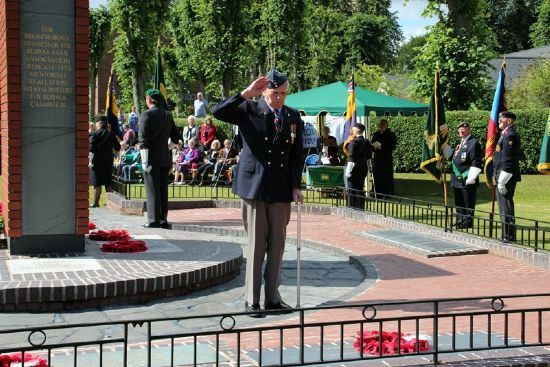 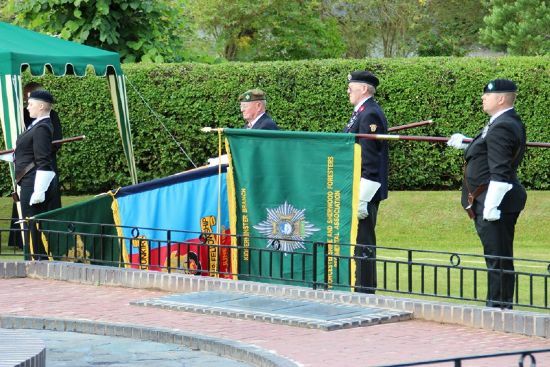 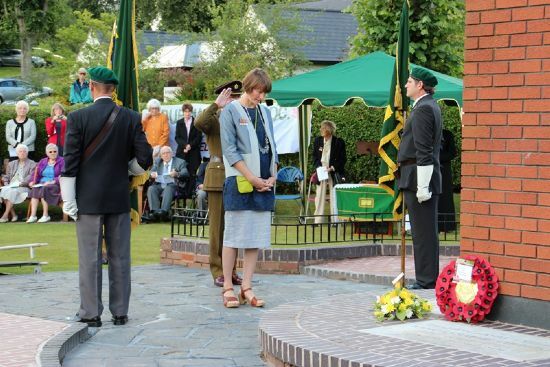 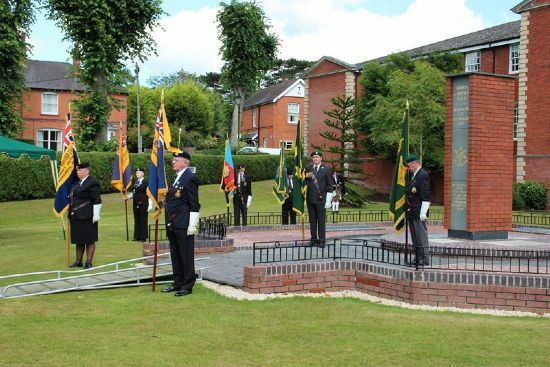 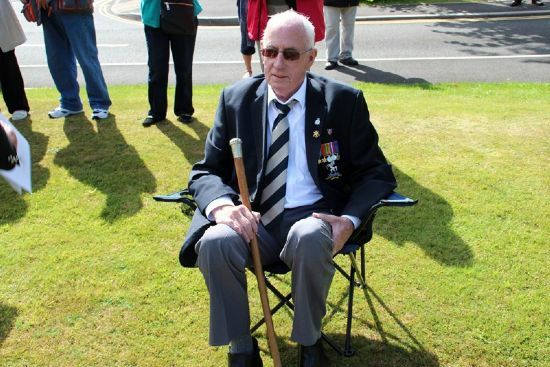 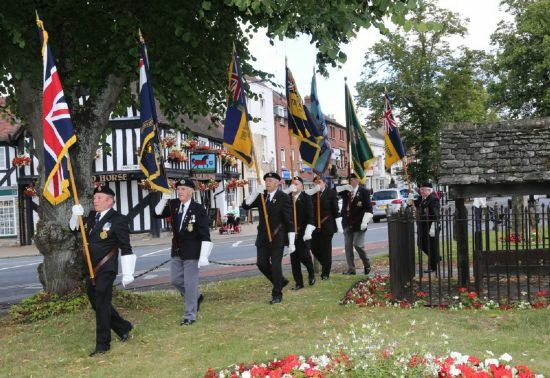 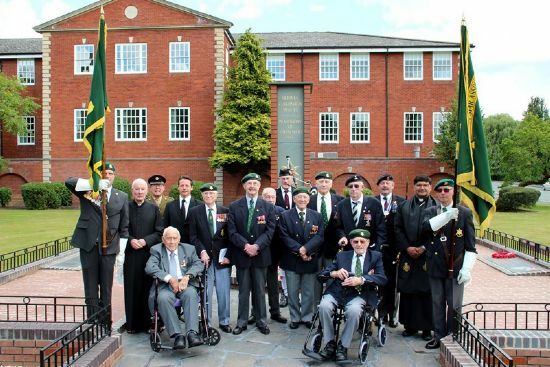 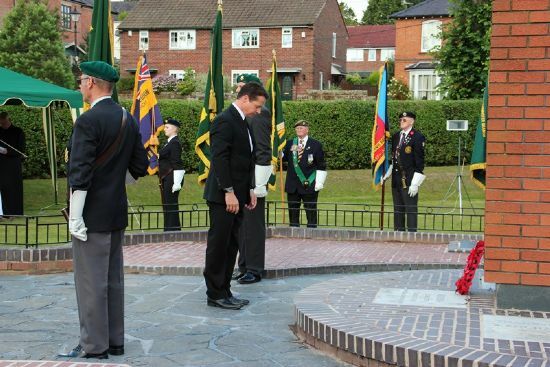 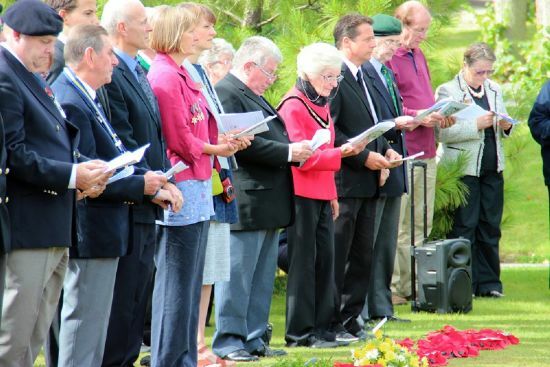 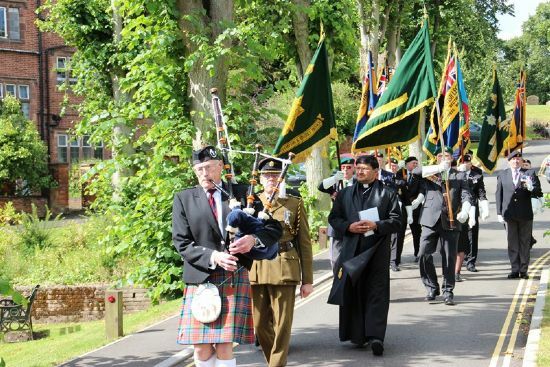 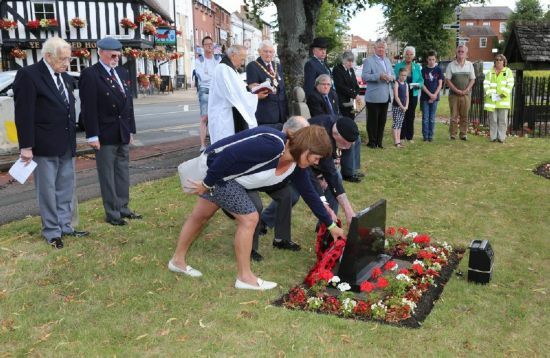 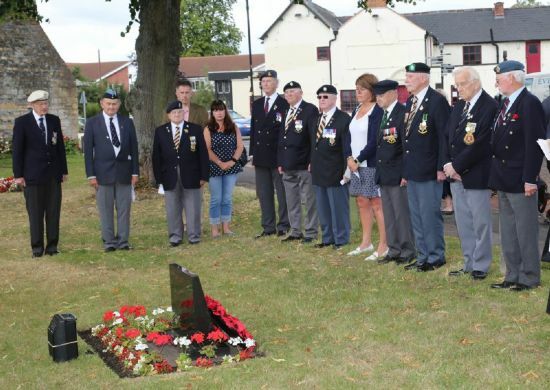 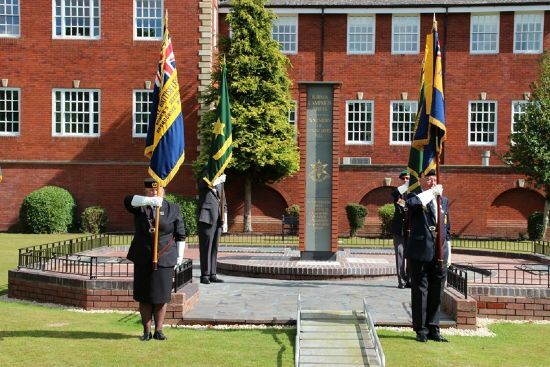 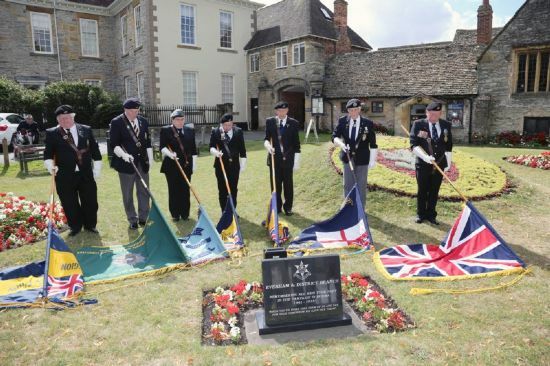 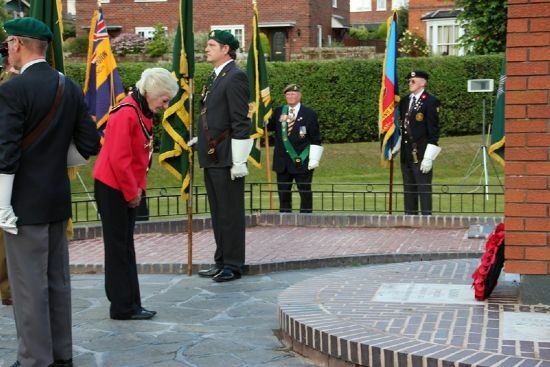 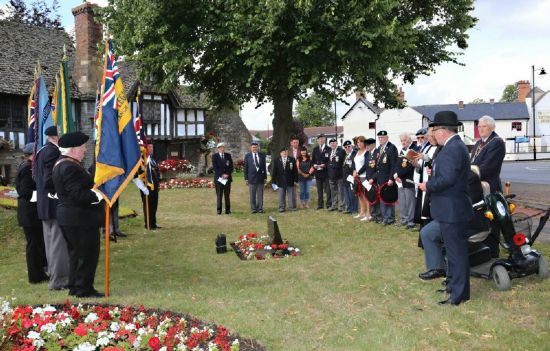 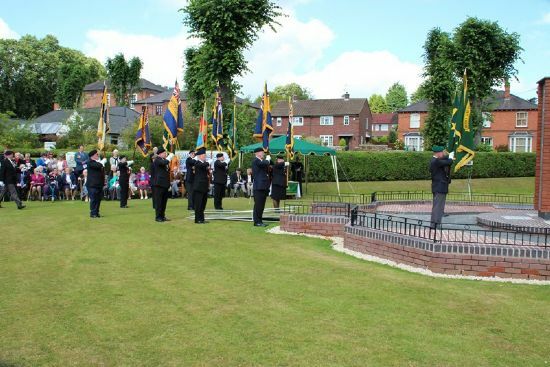 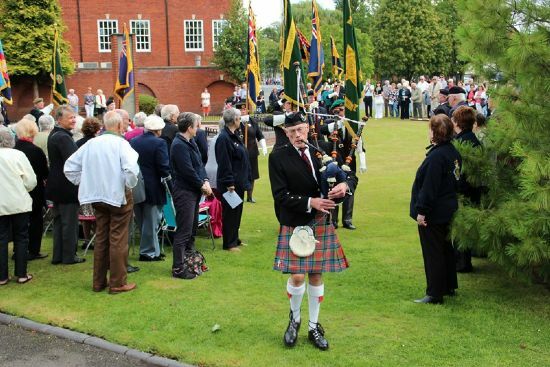 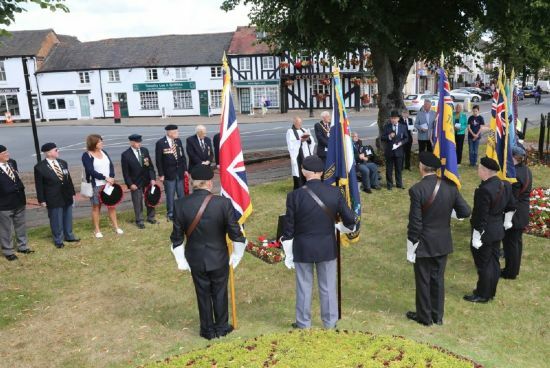 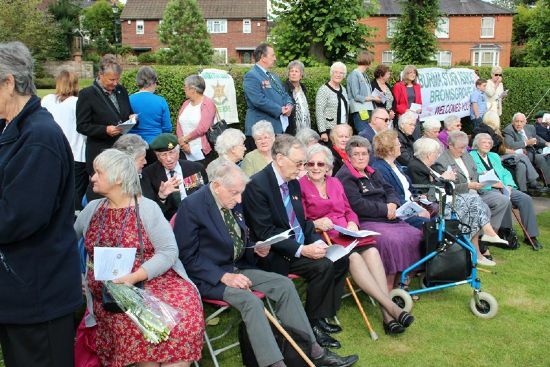 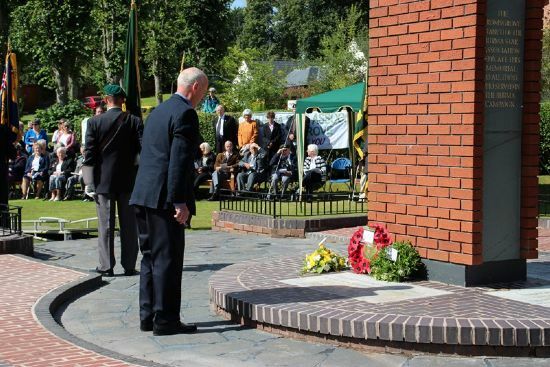 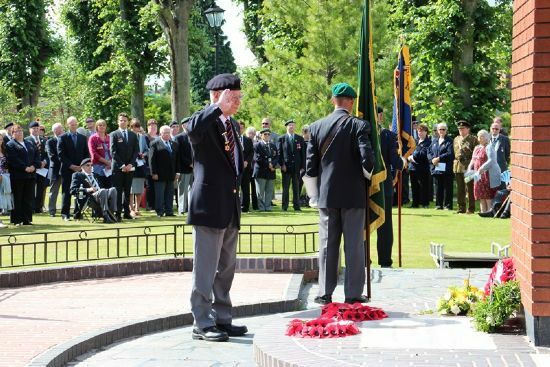 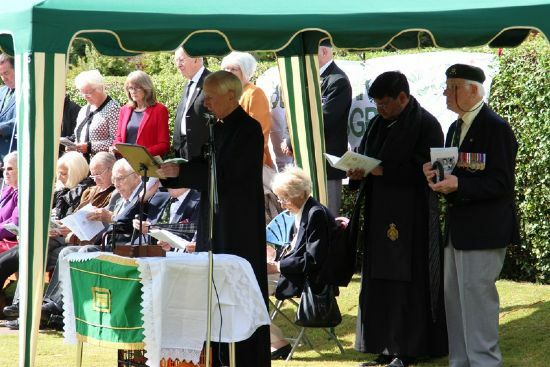 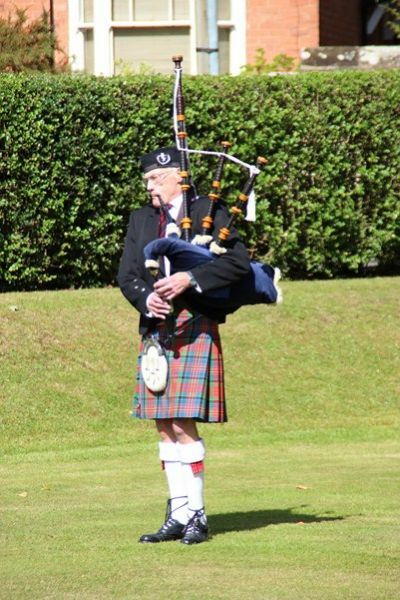 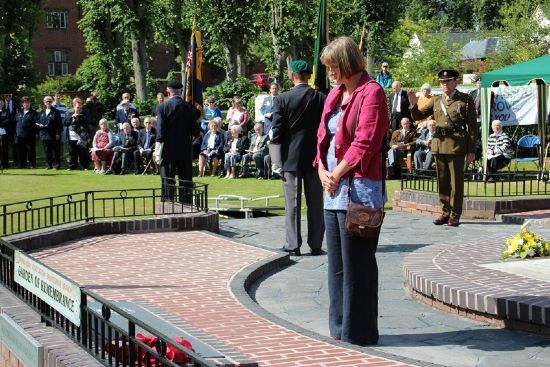 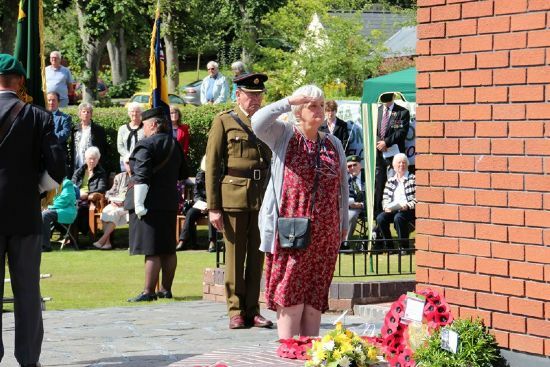 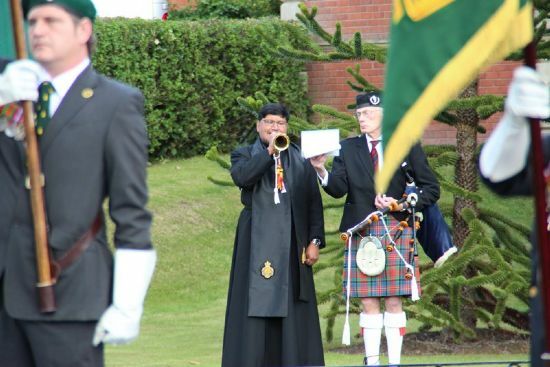 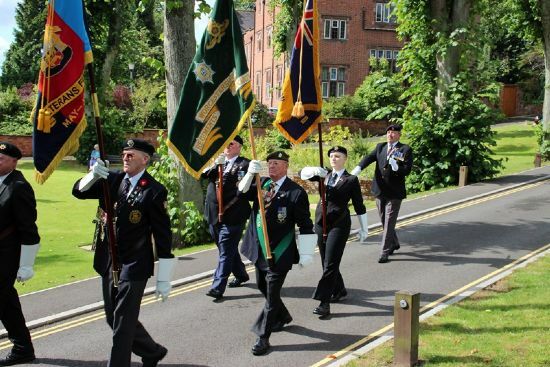 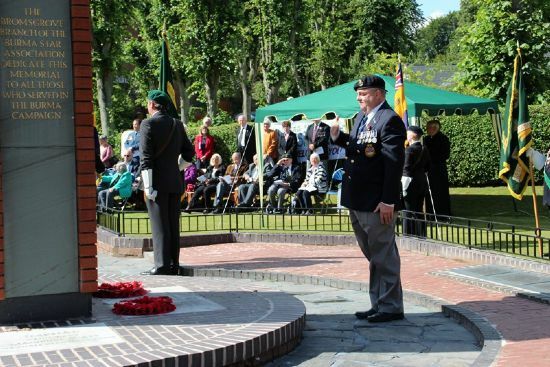 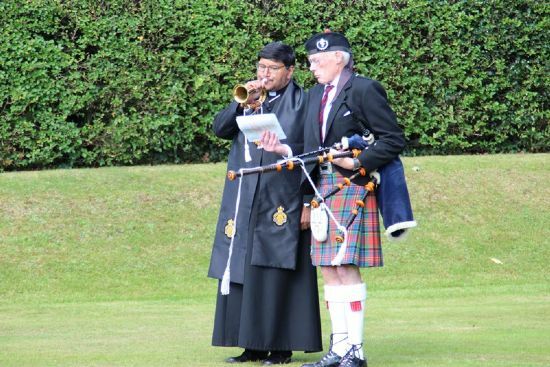 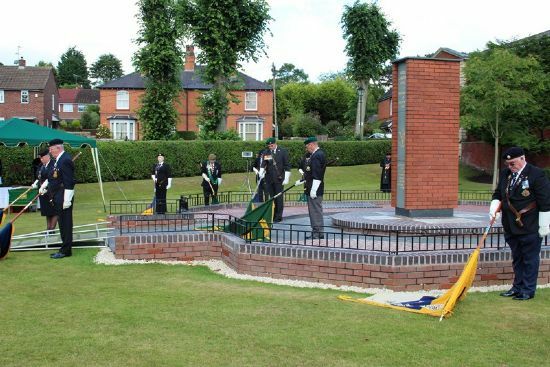 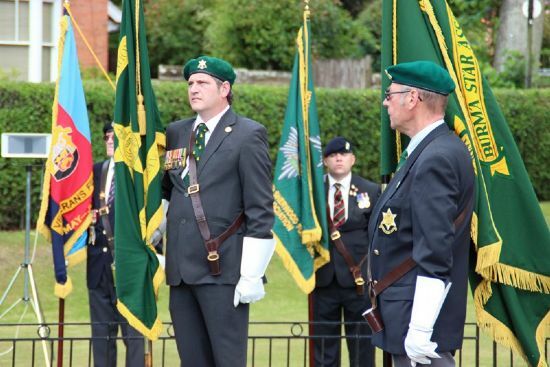 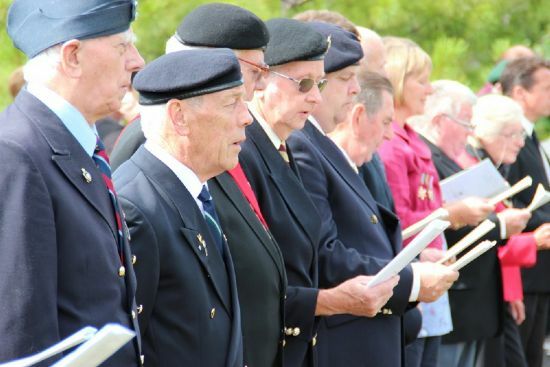 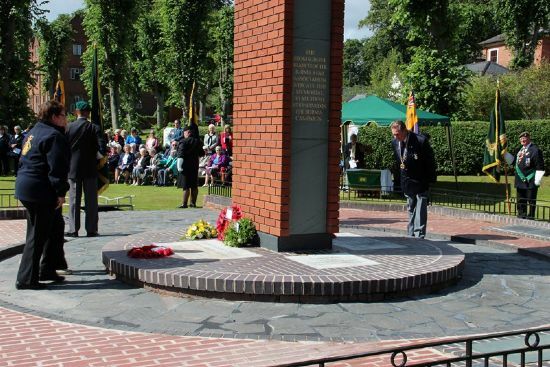 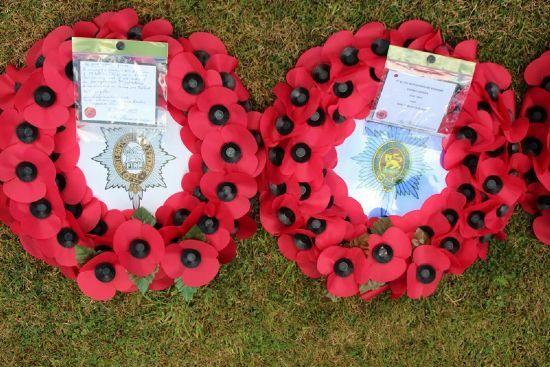 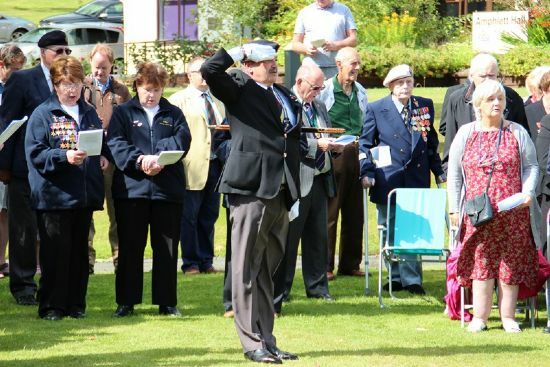 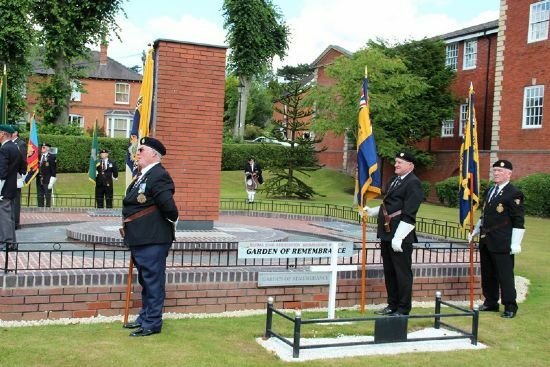 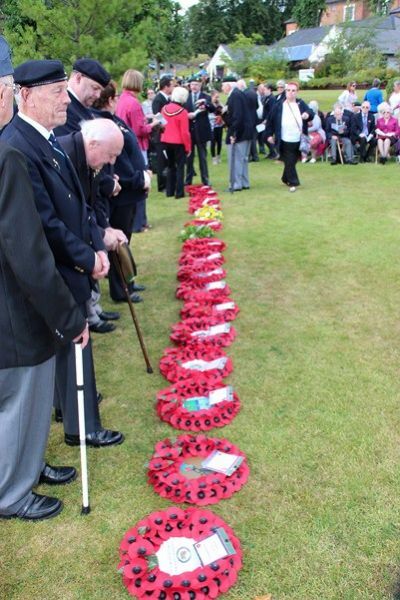 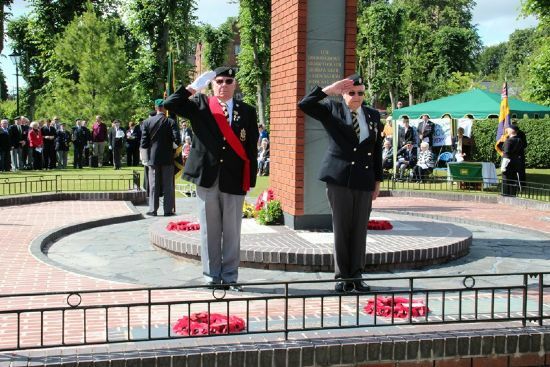 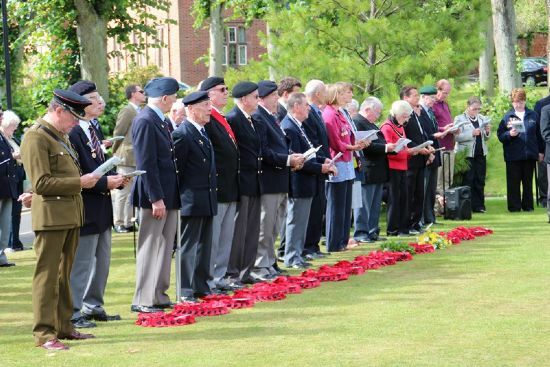 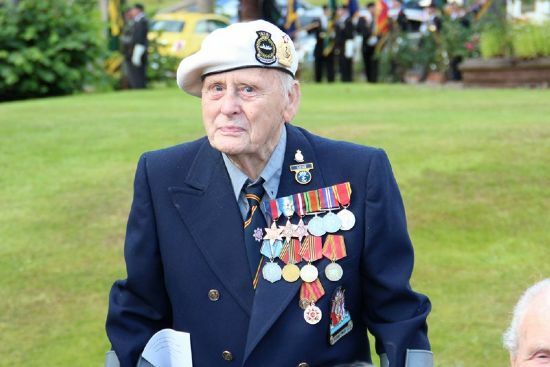 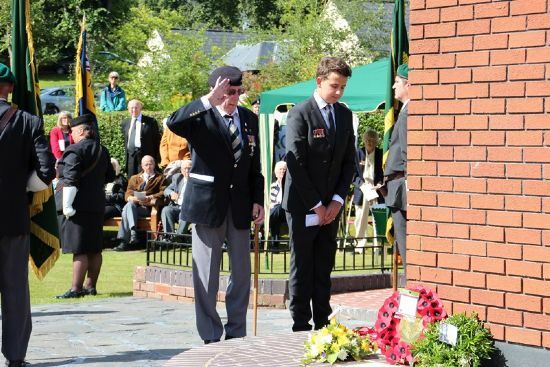 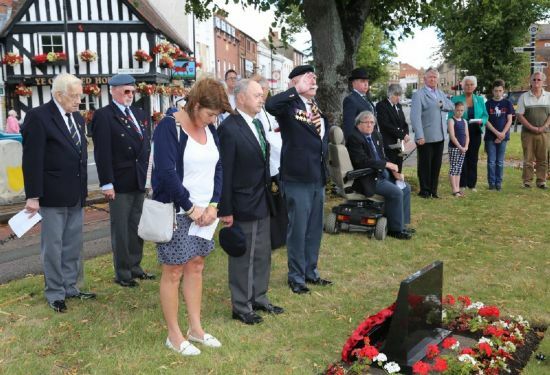 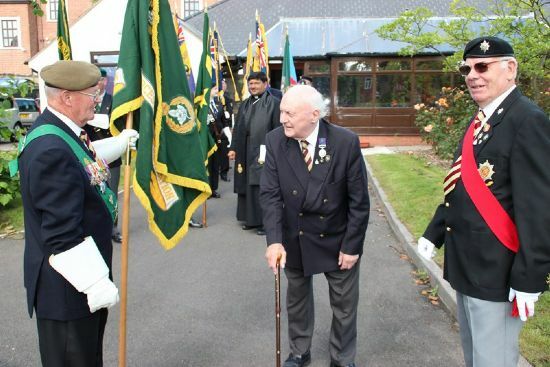 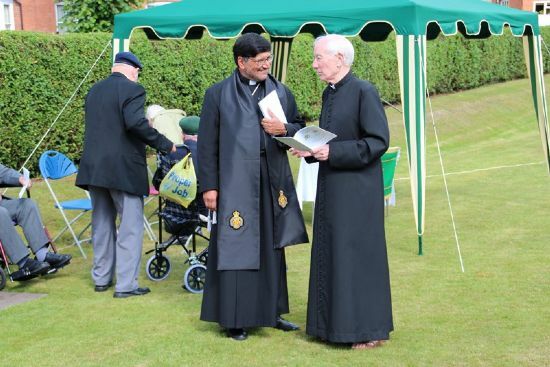 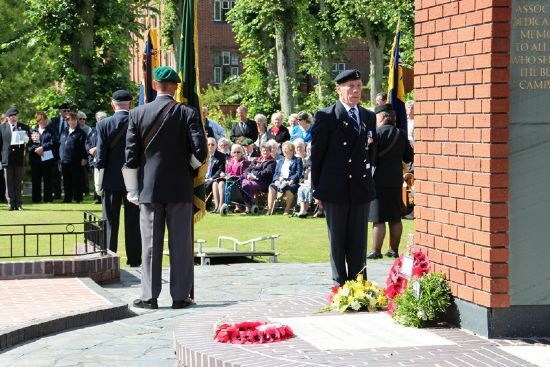 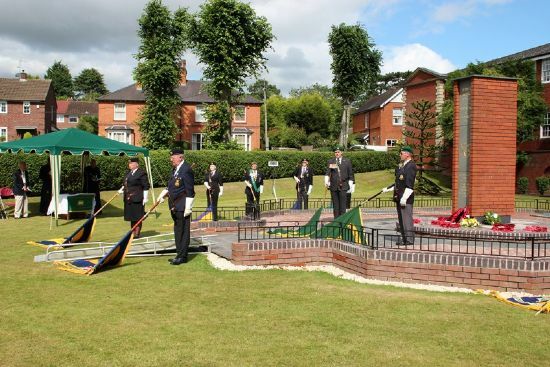 The 70th anniversary for VJ Day was held on Saturday the 15th August at Crown Green in Bromsgrove by the Bromsgrove Branch of the Burma Star and F.E.P.O.W. 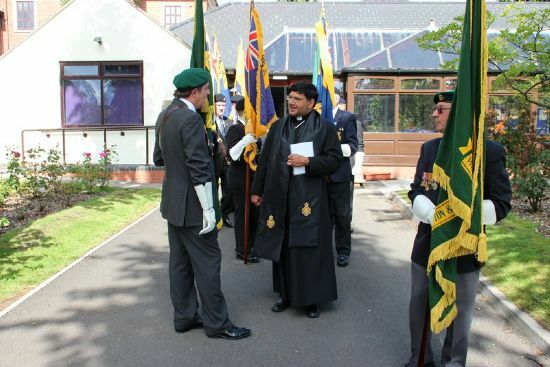 Associations. 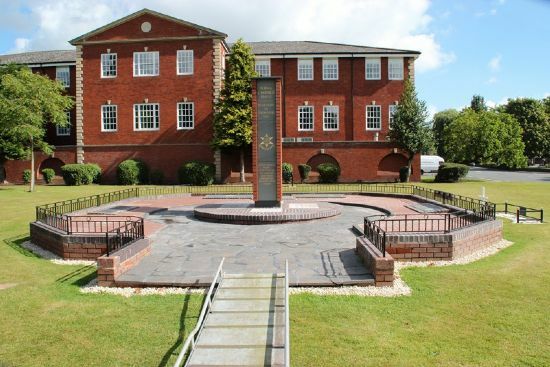 For Corrections and additions please contact through the Feedback page. 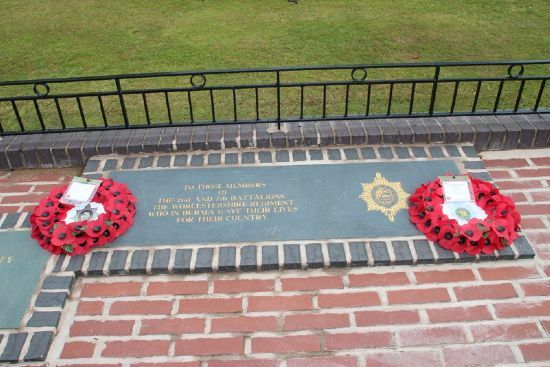 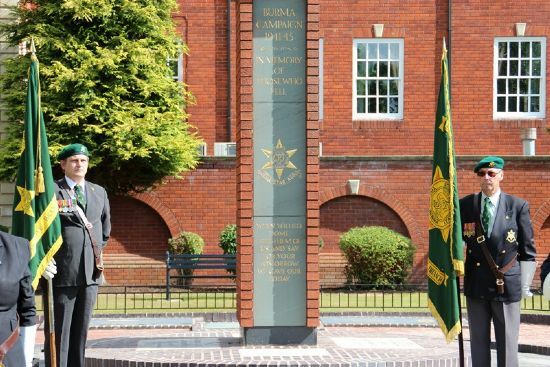 Burma Star Memorial at Crown Green Bromsgrove. 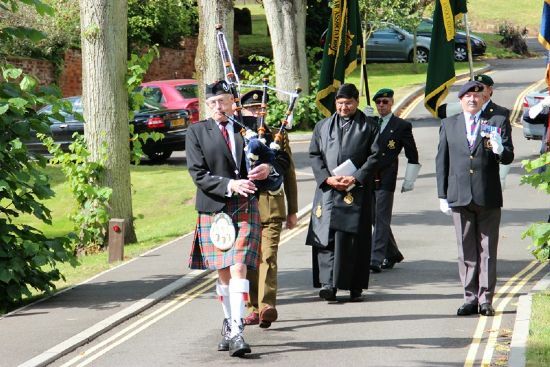 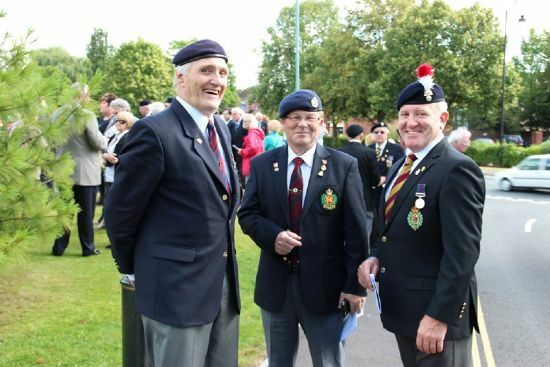 centre-r Rev Canon Peter Burch, Mayor of Evesham, Alan Booth- Chairman Evesham RBL (in whl chr), Major Jeremy Farrow ex WFR. 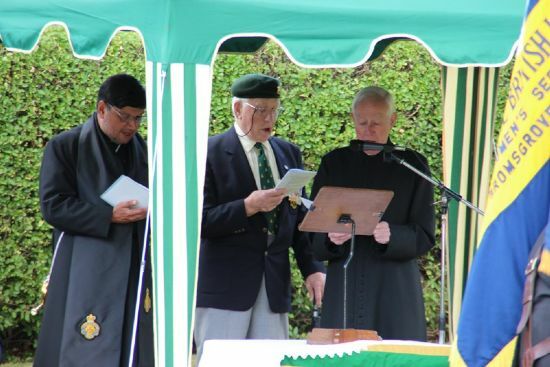 2a Major Farrow giving introduction and outline of War in Burma and 7th Bn at Kohima. 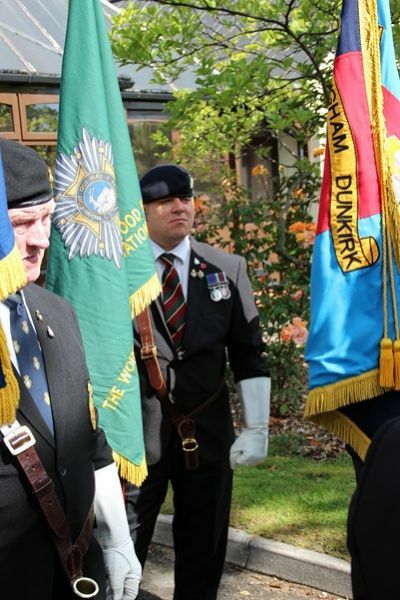 l-r ? ? 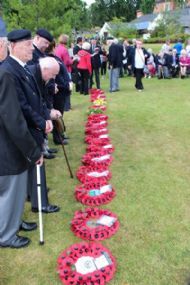 Tony Grubb, ? ? ? 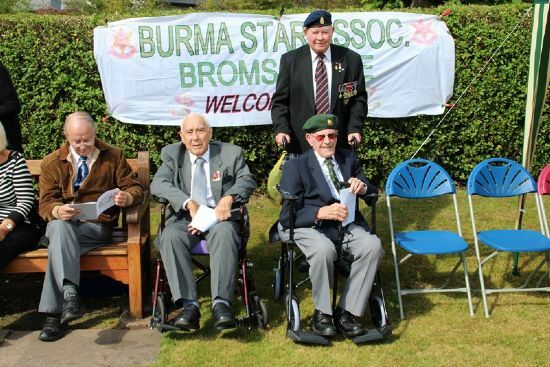 Jim Barnes, Colin Perry , Fiona George, BSA Vet, and Maurice Smith, ? ?